Social media is a type of online media that expedites conversation as opposed to traditional media, which delivers content but doesn't allow readers/viewers/listeners to participate in the creation or development of the content. "Social media essentially is a category of online media where people are talking, participating, sharing, networking, and bookmarking online." There is a wide variety of social media, ranging from social sharing sites such as YouTube and Instagram through social networks such as LinkedIn and Facebook. In my opinion, social media has shot to the forefront of people's attention because it's fun. Thanks to social media, it's easy to share your ideas, photos, videos, likes and dislikes, with the world at large - and find out what they think of them. 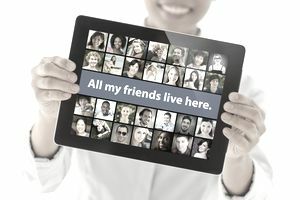 You can find friends, business contacts and become part of a community or lots of different communities. Social media gives you what TV never could - a chance to be not only be engaged but to engage others. Social media is of particular interest to businesses because social media generates real customers. Currently, businesses of all sizes are embracing social media marketing as a low-cost form of business promotion, grappling with the question of how to get in on what appears to be an especially viral way to get their message (and their products) out there. If you run a small business, How to Create a Social Media Plan explains how you can pick the best kinds of social media to promote your business and how to design and implement a winning social media strategy. These are, as the heading suggests, only some of the more popular forms of social media; other examples include Snapchat, StumbleUpon and Reddit. As well, new social media platforms are being created and gaining popularity every day.